Dimensions : Ø 32 x H 15 cm - Ceiling rose: Ø 10 x H 2.5 cm - Cable: L 250 cm max. A mixture of retro charm and contemporary refinement, the Paris pendant offers a beautiful combination of noble materials. 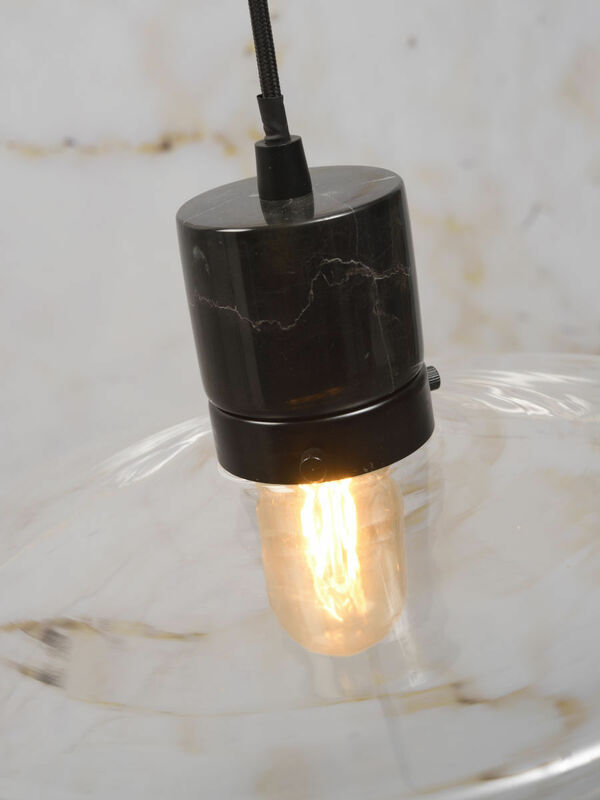 It consists of a transparent glass shade topped off by a metal cylinder and a piece of real marble. 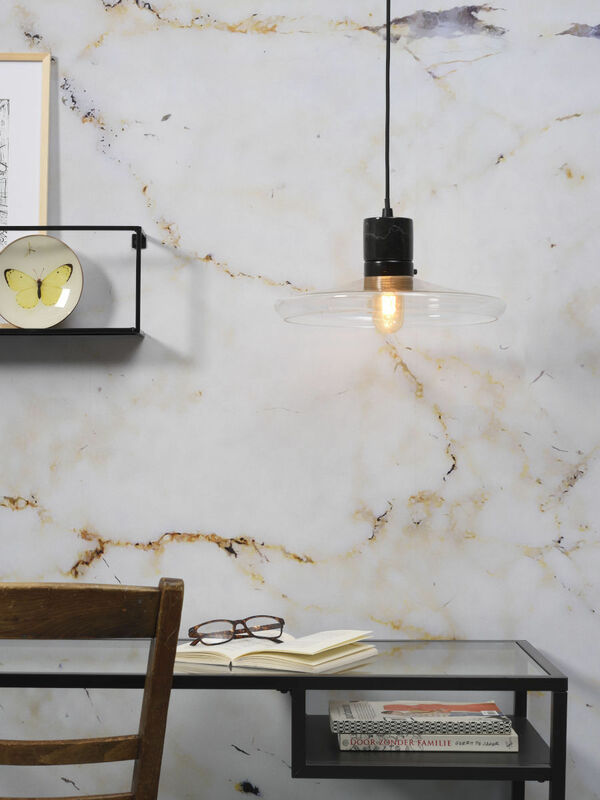 The delicacy of the lampshade, light as a bubble, is counterbalanced by the solid, sensual look of marble. 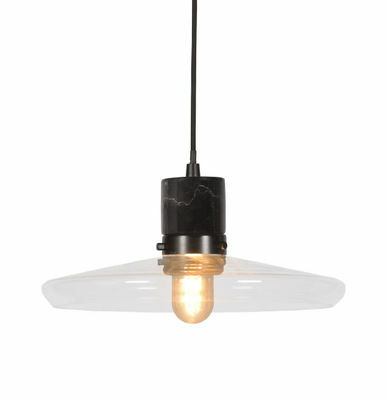 With this minimalistic, uncluttered pendant, the bulb takes pride of place! The bulb is not supplied with the lamp. You can use any decorative bulb of your choice (E27 cap). A classic bulb with a filament, an oversized globe or even a coloured bulb. Get creative! 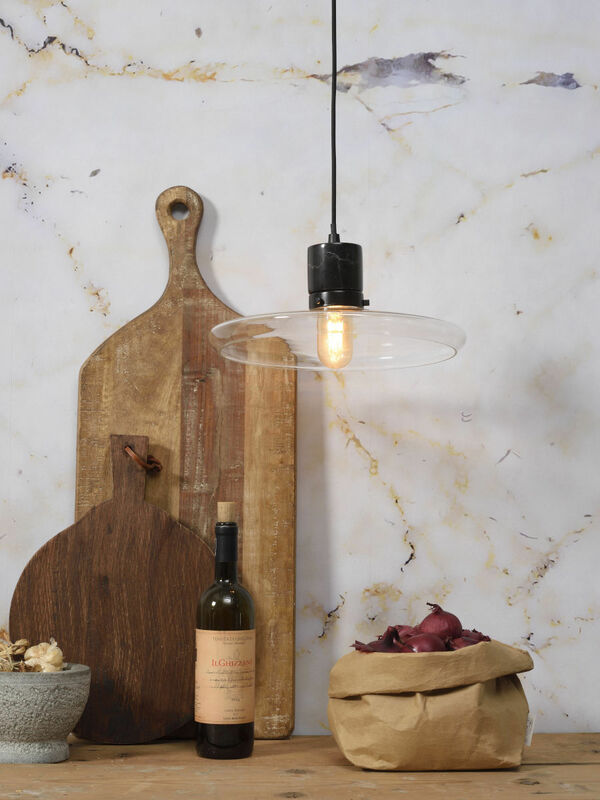 The choice of quality materials and elaborate shape of the lampshade give this pendant a sophisticated, timeless feel worthy of the greatest design icons.